Congratulations to our January Star Patient Winner Ella G! “Ella likes soft pillows to sleep on. 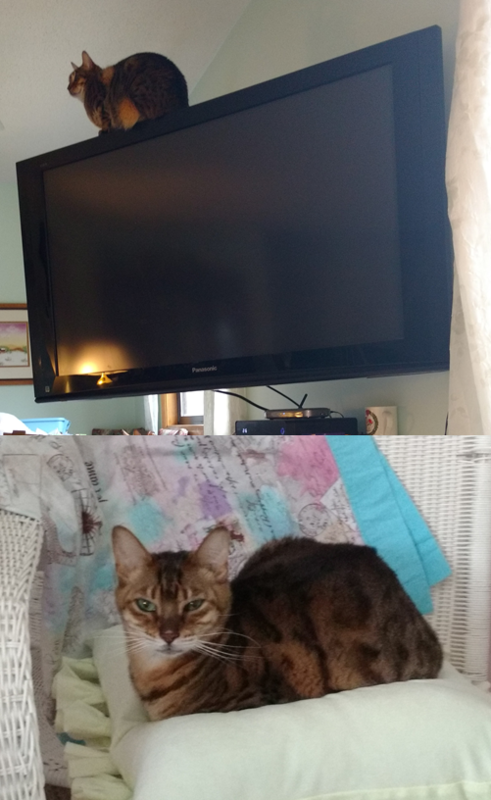 She likes high places…the top of the china cabinet and the top of the TV. She loves drinking straws and will steal out of your glass when you’re not looking. Then hides them under area rugs. She loves tearing through the house with her brother. She doesn’t like any treats except a little cooked chicken. Congratulations Ella for being our Star Patient winner. She is now entered into our annual drawing for $50!